Work has been a bit mental lately, as we've been getting ready to launch the 2014 Edinburgh International Science Festival programme - which means lots of busy, busy days, endless proofing, and one very tired graphic designer boyfriend. ... with science puns! 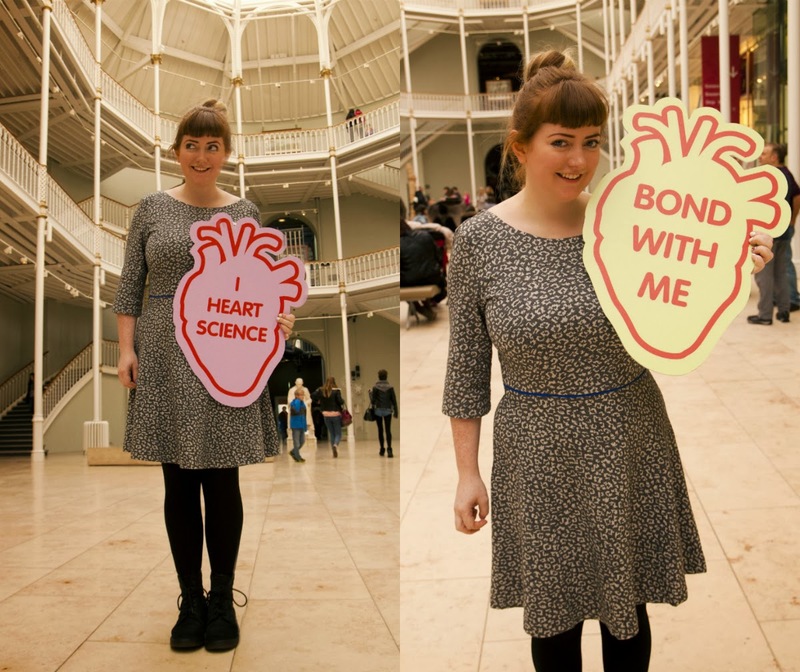 Look at our amazing giant (anatomical) love hearts! With maths jokes! The best. I had been swithering over what to wear to the launch (which needed to be smart enough to say hiya to clients, but not boring), when www.surfdome.com came to the rescue (thanks guys!). They asked if I wanted to blog about something from their site, and I was over the moon when I spotted this dress by Louche, because I tried it on AGES ago in Joy, fell a bit in love with it, couldn't think what I'd wear it to, didn't buy it, have had dress regret ever since. Not any more! It came really quickly, which was handy as I only had a few days before the launch, and it is an absolute dream. The material's actually pretty thick - this ain't a dress for the summer, and it feels really good quality. It's got a lovely dipped zippy back (which I forgot to get a photo of, but you can see it here), and the most perfect cropped sleeves. 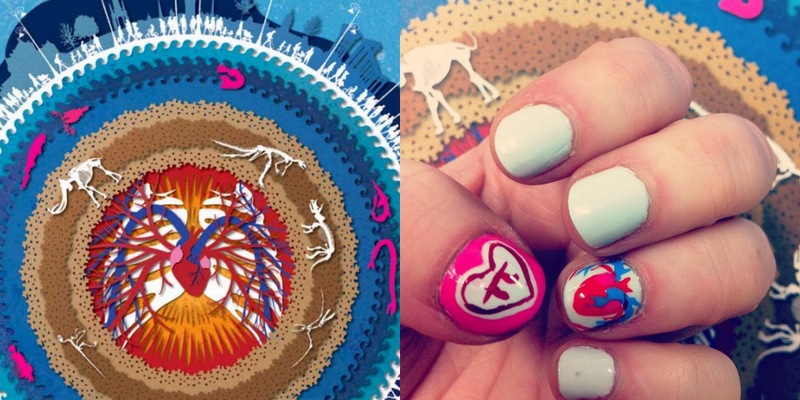 To go with it, I also painted my nails in an attempt to match our beautiful programme cover - with an anatomical heart, and a pi loveheart (I had a 'cutie' heart on my other thumb too). I'm not convinced you can actually tell what it's meant to be, but I was pretty happy with my freehand attempt. The Science Festival is going to be super fun this year, so stick April 5th - 20th in your diaries. We've got slime! Food! Blood! Cocktails! Maths comedy with my pal Simon! Robots! Free beer! Serious stuff too! You can have a look at the programme here if you fancy. Yaaaay science. Oh my gosh, such a cute outfit. I love your nails. 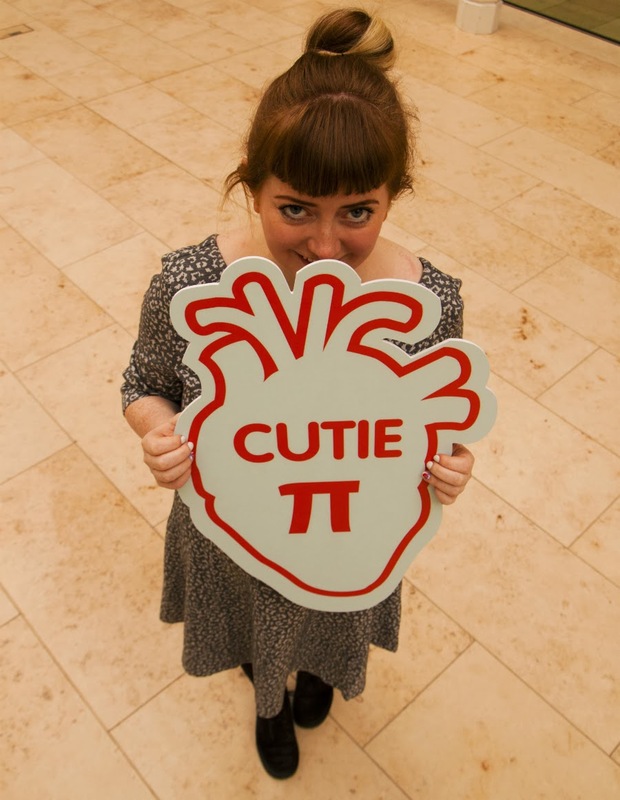 I love your cute signs and have nail painting envy at your neatness!